You mean Chinese copy of American Epiphone Casino? On a Natural Casino, perfect fit ! 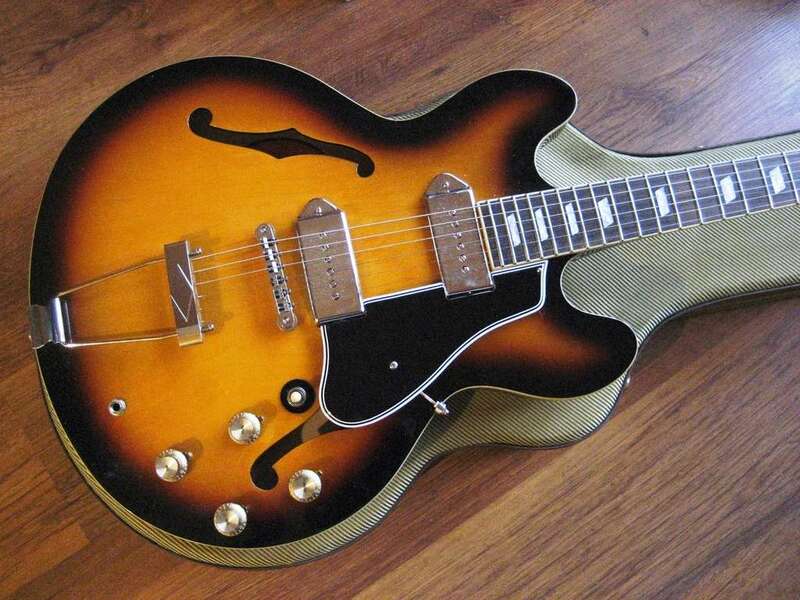 Where did you get that pickguard from ? I'd like to get one ! 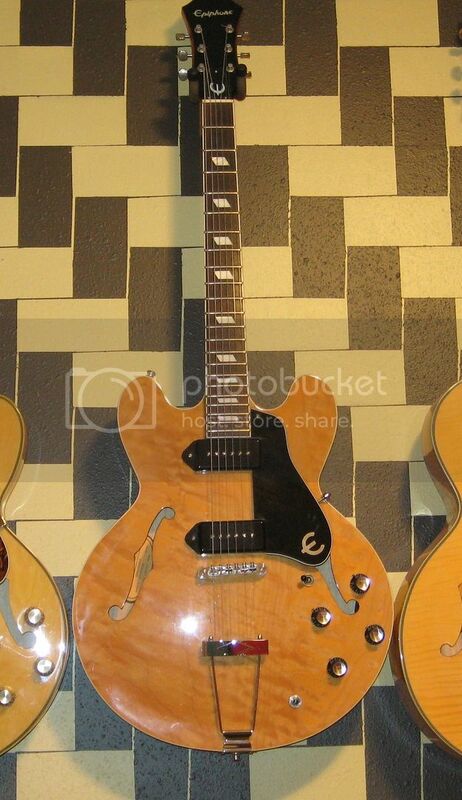 We all know a Chinese (or Korean) Epiphone is not a Gibson. Poor? It serves its function well. I have a Qingdao Casino. 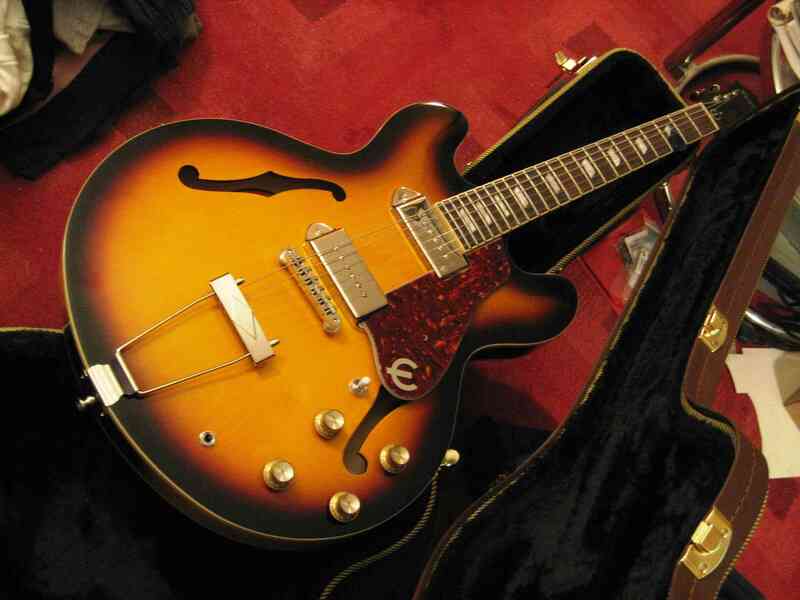 I bought it because I didn’t want to gig anymore with my going-on-sixty-year-old ES-125TDC - it’s getting a bit delicate. The 125 is an amazing guitar; it sounds huge. I didn’t expect the Casino to measure up, and of course it didn’t. How could it? It hasn’t been vibrated for half a century. But I viewed the Epi as a platform and changed everything on it. 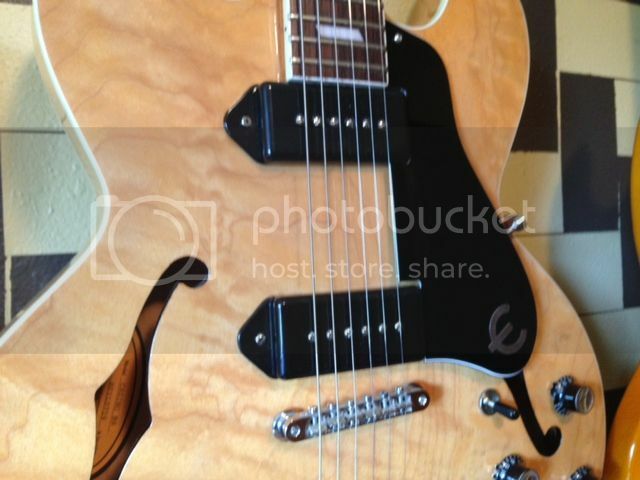 Vintage-voiced Fralin P90s, pots, switch, jack, nut, bridge, tuners. Everything except the trapeze, the bridge bushings, and the frets. Does it measure up now? No. But close, or close enough. On stage in a bar with a drummer and you won’t hear much difference. It’s fun to play, it looks good, it sounds good, I’m not plunged into deep depression when I ding it, nobody is going to steal it; I don’t have to spend my breaks wondering if my guitar will be on stage when I get back. And it doesn’t have a Brazilian fingerboard, so I don’t have to worry about crossing borders with it (which I do often, living where I do - Germany/Switzerland/France). 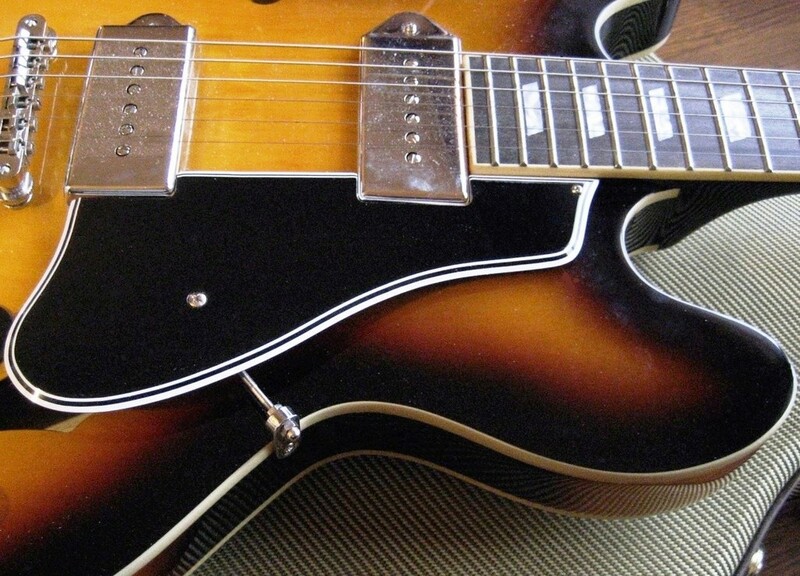 It sounds wonderful through a tweed for old-school blues. T-Bone, early Freddie - no problem. It’s not a 330. Or a 125 (basically the same thing). But it’s pretty darn good. Even the poly doesn’t bug me - but my hands don’t sweat much. 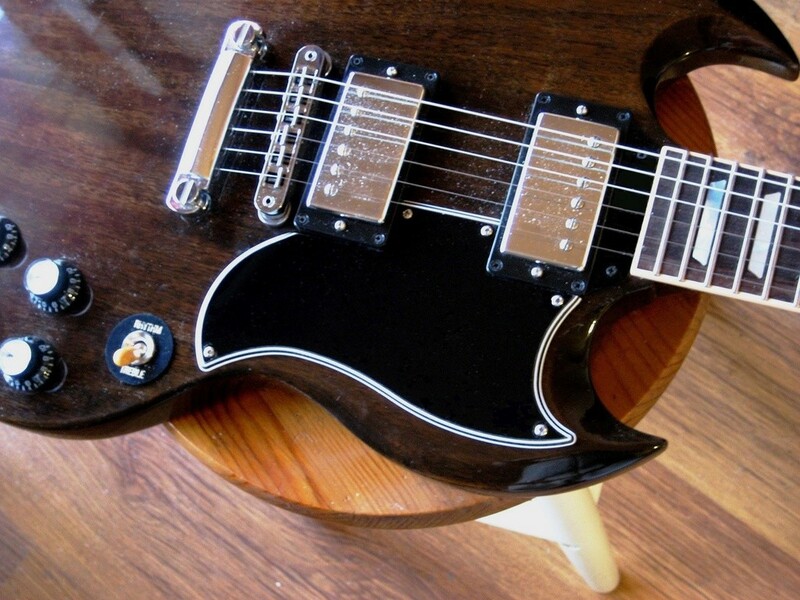 All you HAVE to do is put reasonable pickups in it instead of the crazy overwound stocks. Looks great, very nice indeed. I bought the pickguard on EBay, C-Rocker Custom Guitars shop. Buy a 5 ply pickguard with 60° wide bevel. I love 5 ply Custom pickguards with 60° wide bevel. This is crazy how a 5 ply wide bevel pickguard upgrade nicely . 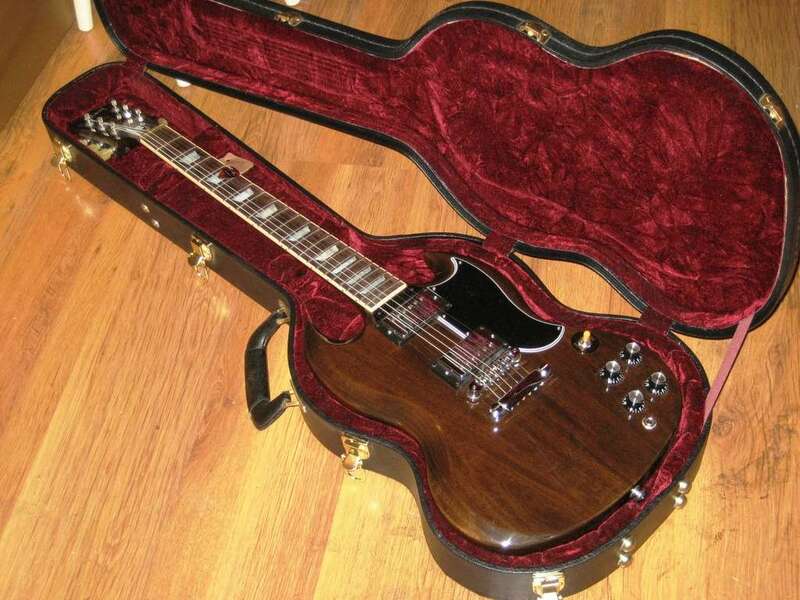 Got any with the Epiphone "Epsilon" on them? I ordered it without the hole drilled for the bracket because I want to glue the bracket on. I prefer the no-screw look, too. My Casino wears a 3 ply Terrapin guard. 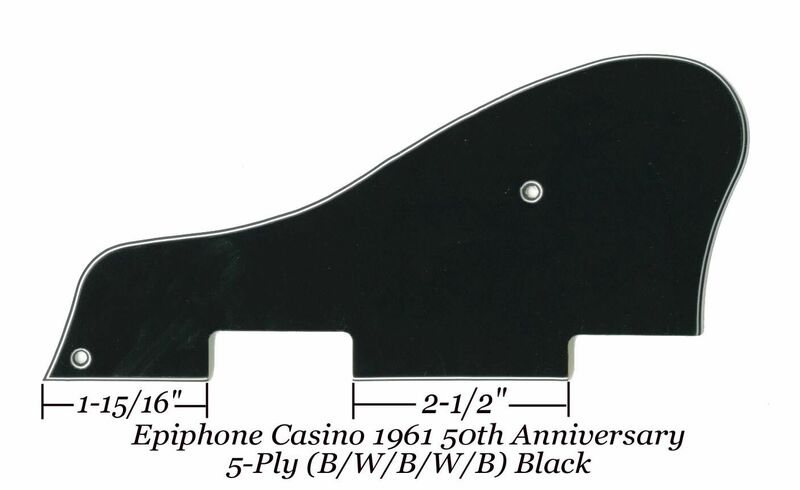 I own a 1967 Casino E230TD and have been searching for a vintage original or replacement pick guard that fits...including (preferably) period correct guard mounting hardware. Anyone know where I should be looking to find such a thing?? I also need the wiggle stick....but no luck thus far finding any of this stuff. Help appreciated. 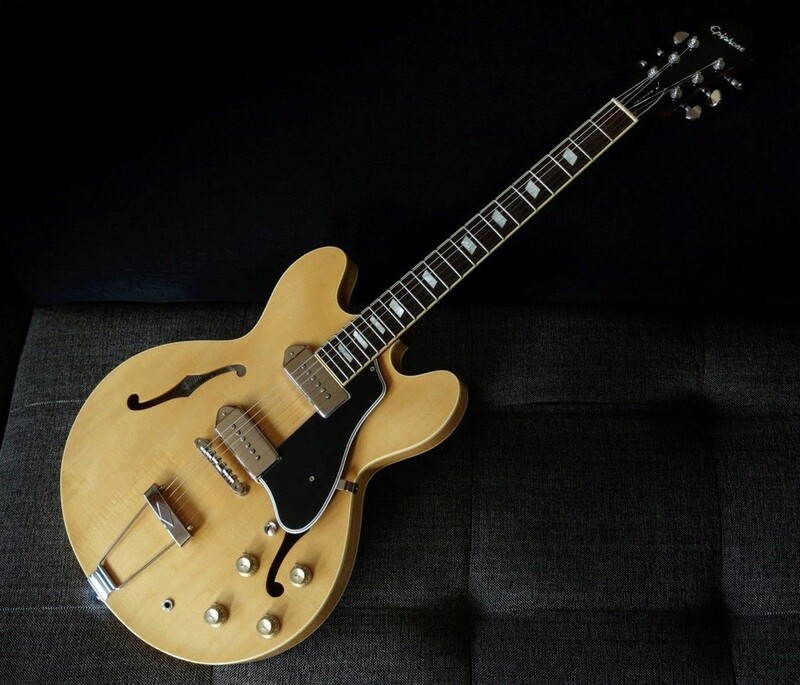 would like to find a pick guard for my 94 sheraton 2. any ideas?